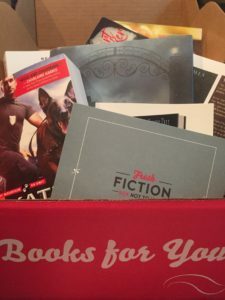 There are so, so many book boxes out there these days, but most of them combine “bookish items” with books. 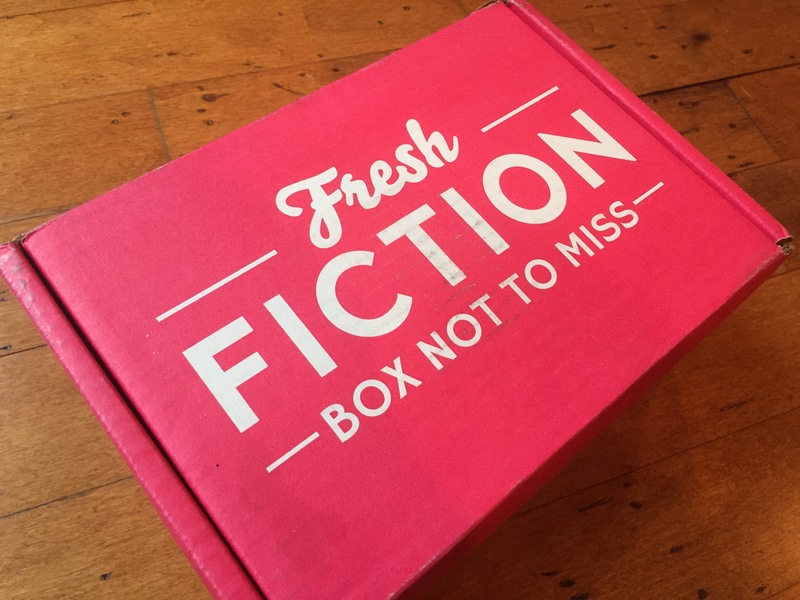 What sets the Fresh Fiction box apart is that is almost entirely books. Books from authors you love, and books from authors you haven’t met yet. In the July box, for instance (see above and below), lucky subscribers were provided with five hard copy books, plus e-books! 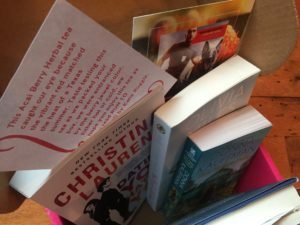 In addition, there’s a note from Katie Ruggle, introducing us to her book, as well as a tea bag to brew a perfect cuppa to enjoy the books with. 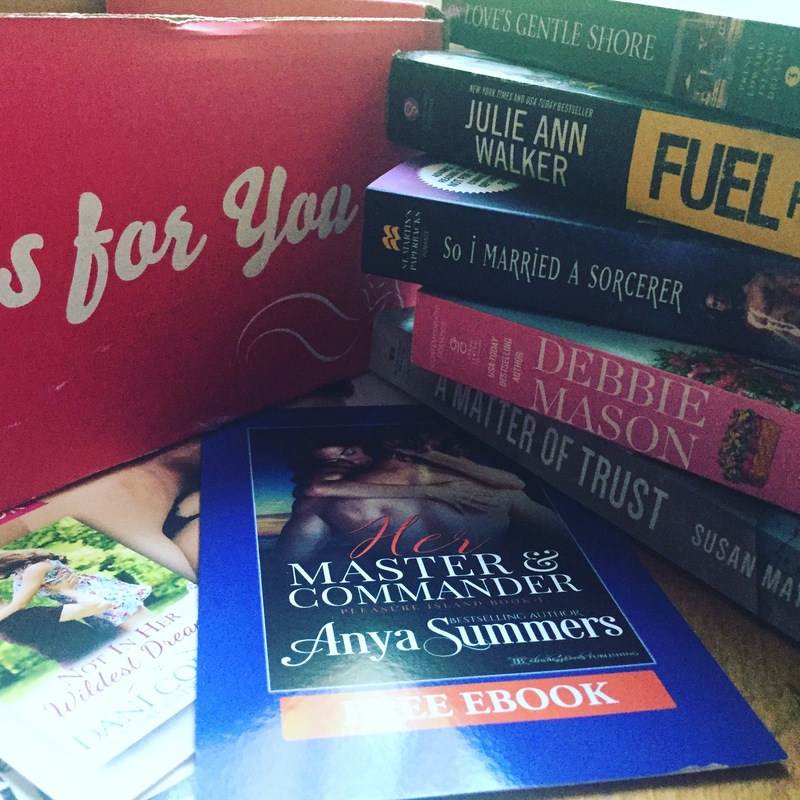 Just in case you weren’t convinced that this is a box worth investigating, let me show you the August box. 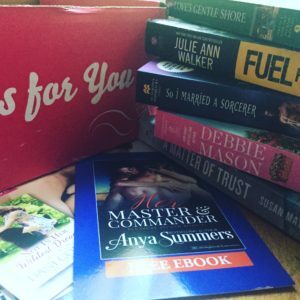 August’s box features Julie Ann Walker’s Fuel for the Fire, and while I haven’t had a chance to dig into it yet – it’s packed for vacation. 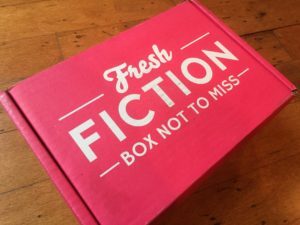 I’ve been reviewing for Fresh Fiction for a few years now and one of the best things they offer is this box. 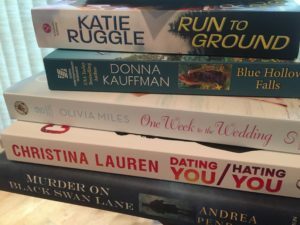 In an age where we have to curate so much of our lives – there’s too much TV to choose from, more books than we could ever read, more and more and more. 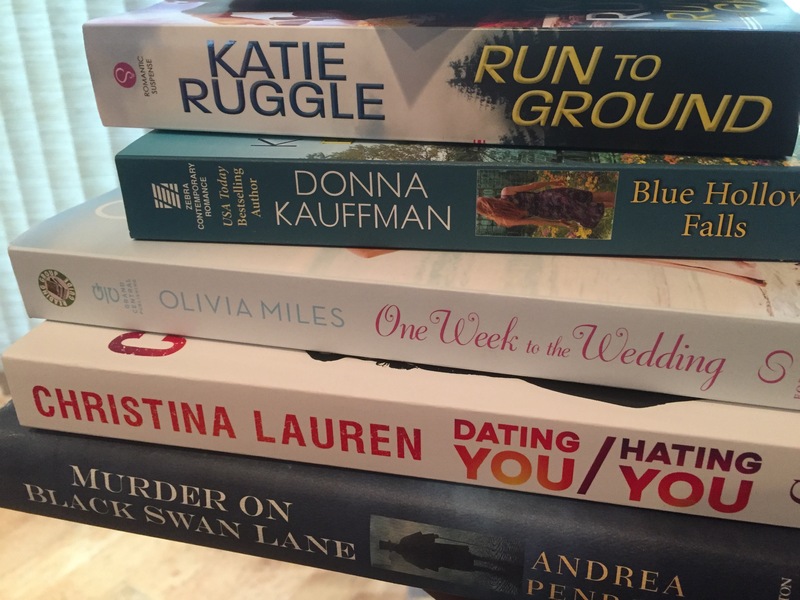 To have experts curate choices is a true gift and one I’d recommend hopping on. Full disclosure, I got both these boxes in exchange for this review. 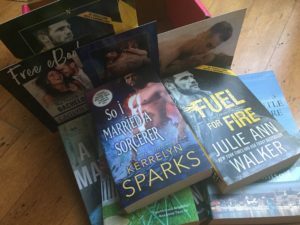 Full disclosure part two, I was so delighted with them that I’ve asked for a subscription for my birthday!